Comment: Asphalt tile roof (20+ years old), has a few small leaks. Not sure if it just needs repair or complete replacement. Need inspection and estimate(s), including possible addition of solar tube or skylight(s). Ready to hire. Comment: It's the roof on our patio room connected to the house. It started leaking around the vent and the where the room is connected to the house. Comment: It's the roof over the patio room that's connected to the house. It mainly started leaking around the vent and then where the room is connected to the house. Comment: We have 2 maybe 3 layers of roofing that needs to come off and new roofing put on. no leaks to speak of not sure about dry rot. We would like composite shingles put on, something mid grade (not too cheap, but not too fancy) Looking for financing info, or a good estimate to budget for. Comment: My roof has one leak we know of. This roofing material is 27 years old. We want asphalt tile and tar paper. We also want to put up new gutters and down spouts. Citrus Heights Roofing Contractors are rated 4.75 out of 5 based on 1,040 reviews of 37 pros. 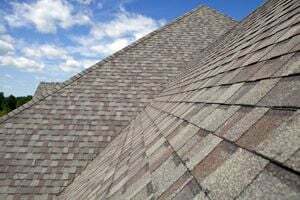 Not Looking for Roofing Contractors in Citrus Heights, CA?